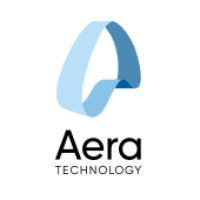 The Project Manager is an integral part of our Customer Success team with responsibility for managing Aera’s product implementation at the world’s largest companies, with the most complex global supply chain challenges. In this role, you will manage key stakeholders and drive project management rigor, best-practices and process-compliance. You will be based in our Mountain View, CA headquarters. Run day to day tasks within multiple implementations in parallel. Implement a standard set of project management protocols, including a regular cadence of internal status meetings, client meetings, work delegation structure, team member roles & responsibilities, etc. Build a constructive, positive, value-add and trusting relationship with your client counterpart. Take full ownership of and accountability for the daily project workplan, including accurate development, deliverables, milestone due dates, execution and maintenance. Utilize Aera PMO tools and best practices such as Jira, Asana, MS Project, Powerpoint, Smartsheet, google docs and Netsuite. Track, on a weekly basis, the team’s time and expense spend in Netsuite, relative to the planned budget. Implement, as necessary, mitigation strategies to resolve any issues that compromise project budget performance. Serve as the primary developer and owner of any scope change requests (CR). Identify any costs related to change orders and ensure clients are notified of and billed for these costs. Support the creation of Operating Committee presentations and any other presentations and status reports requested by the Client and for executive checkpoint meetings. Be a proactive leader and influencer in all aspects of project management. Take ownership of all communications to Engagement Principals and Aera Leadership in order to ensure all project issues are identified and mitigated. 5-7 years of project management experience delivering enterprise software implementations. PMP certification preferred. A fundamental understanding of Supply Chain Management solutions is mandatory. Advanced Supply Chain expertise is a plus. Exposure to Enterprise application implementations (Cloud, ERP, APS, CRM). A SaaS background is a plus. Knowledge of Agile and Waterfall implementation methodology. Expertise in applying the systems development and project management life-cycle processes involved with implementing I.T. solutions. Proven track record of delivering objectives on time and within budget, while running multiple projects in parallel. Proven problem solving and organizational skills. Demonstrated ability to motivate team members and delegate effectively. Proven ability to communicate and present to clients at all levels within the organization. Undergraduate degree in business, math, computer science, engineering, or related discipline with an information technology focus.